Home » Blog » Spectacular Showpiece: Trapeze Artist at Cake International! 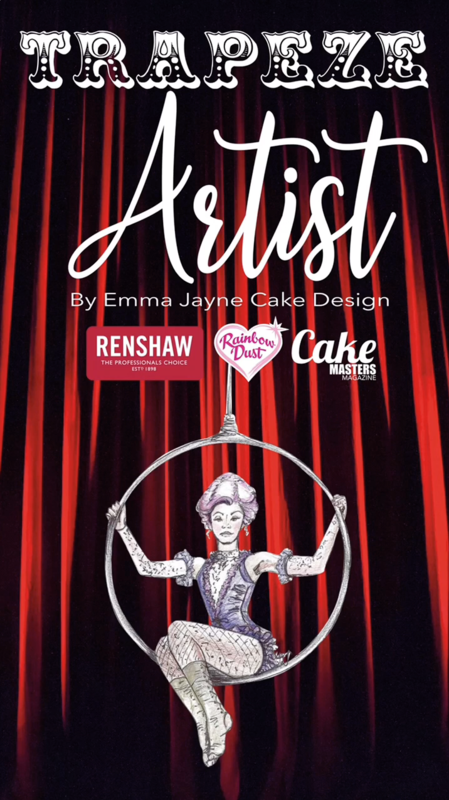 Set to steal the show, suspended in mid-air and taking pride of place in the entrance of Cake International 2018, the Cake Masters Magazine Showpiece will be a stunning life-sized trapeze artist by the brilliantly talented 2017 Cake Artist of the Year, Emma Jayne Cake Design! Taking pride of place in the entrance of Cake International on the Cake Masters Magazine stand will be ‘The Trapeze Artist’ by Emma Jayne Cake Design, a life-sized circus performer sugar sculpture that will be suspended from a spinning hoop. This spectacular beauty is the brainchild of Emma Morris, the creative mind behind Emma Jayne Cake Design. Emma Jayne is one of the caking world’s best known names and has many accolades including being winner of Cake Artist of the Year and nominated for Best Showpiece at the Cake Masters Awards 2017. Emma is known for her wedding and sculpted cakes but is best known for her jaw-dropping life-sized cakes. This spectacular creation will be painstakingly crafted by Emma over 14 solid days using over 20kg of Renshaw sugarpaste, 40kg of Rice Krispies, 40kg of marshmallow and a whopping 60kg of Renshaw Belgian modelling chocolate. As if all that wasn’t dramatic enough, this unmissable feat of technical engineering and sugarcraft will then be finished with Rainbow Dust Paint Metallics, ProGels and bedazzled with Preciosa Crystals so that her costume truly sparkles. Emma will take on the challenge of her first suspended piece, taking into account technicalities into the build and weight measurements to showcase this piece suspended in a hoop! We are so excited and cannot wait to see it on display at Cake International, 2nd-4th November at the Birmingham NEC.